Spina Bifida is a neural tube defect that occurs in the first month of pregnancy when the spinal column doesn't close completely. It is the most common permanently disabling birth defect in the United States, with an estimated 166,000 people currently living with Spina Bifida. There are three types of Spina Bifida - Occulta, Meningocele, and Myelomeningocele. Often called hidden Spina Bifida, the spinal cord and the nerves are usually normal and there is no opening on the back. Instead, there is a small defect or gap in a few of the small bones (vertebrae) that make up the spine. There may be no motor or sensory impairments evident at birth. Subtle, progressive neurologic deterioration often becomes evident in later childhood or adulthood. In many instances, Spina Bifida Occulta is so mild that there is no disturbance of spinal function at all. Occulta can be diagnosed at any age. The protective coatings (meninges) come through the open part of the spine like a sac that is pushed out. Cerebrospinal fluid is in the sac and there is usually no nerve damage. Individuals may suffer minor disabilities. Additional problems can develop later in life. This form of Spina Bifida occurs when the meninges (protective covering of the spinal cord) and spinal nerves come through the open part of the spine. This is the most serious type of Spina Bifida, which causes nerve damage and more severe disabilities. Courage Kenny No Boundaries Sports Camp - June 28-29, 2019. Registration due June 14. 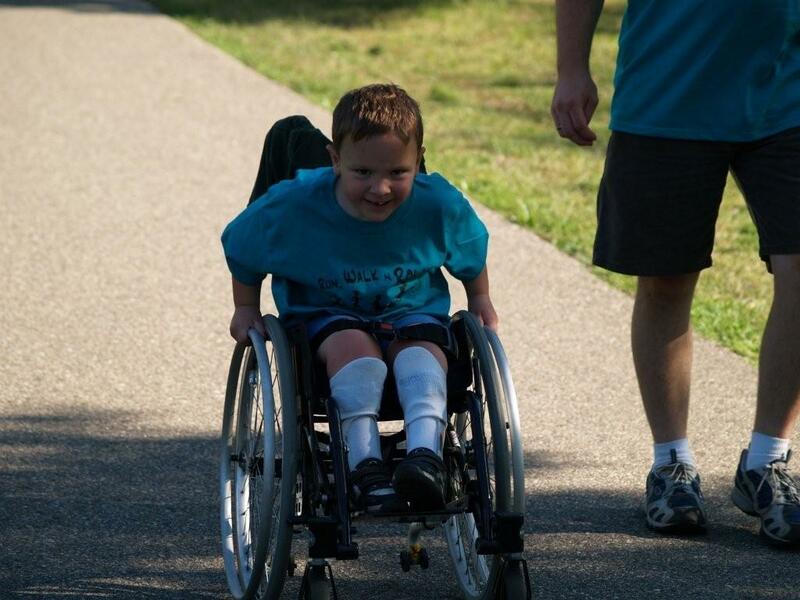 Register @ www.allinahealth.org/adaptivesports.